Fresh wine coolers adorn white wine, rosés and champagnes in cold chic; stored in the freezer, they are always ready to use. 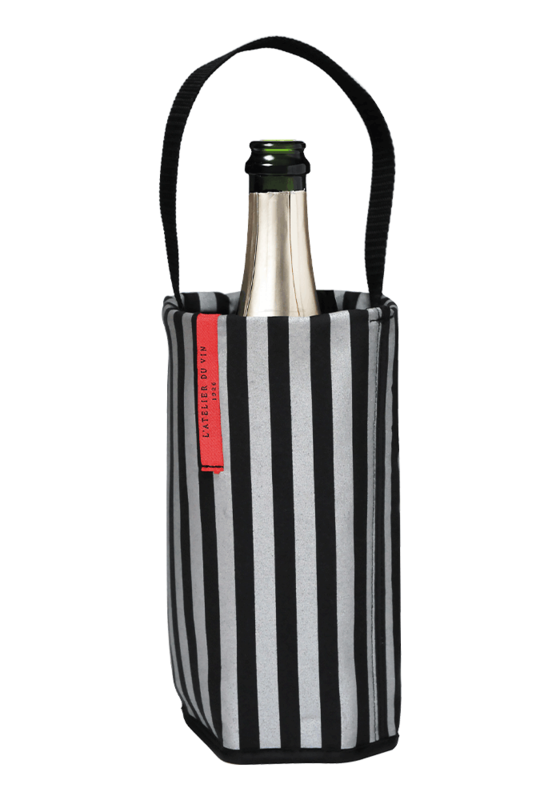 Equipped with a handle and a neoprene bottom, Fresh Baladeurs facilitate service at table or outside, and travel easily. Exterior part: 100% cotton. Interior part: Polyester. Internal part: non-toxic, food-grade and eco-friendly certified eutectic gel.